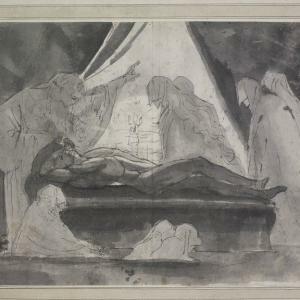 Pen and ink drawing by Henry Fuseli of Richard III reclining as spirits surround him. EMBTA does not hold the copyright for this item, which is already made freely available online. EMBTA cannot grant reproduction rights for this item. If you are interested in reproducing this item, please contact the copyright holder named in the “Publisher” field above. 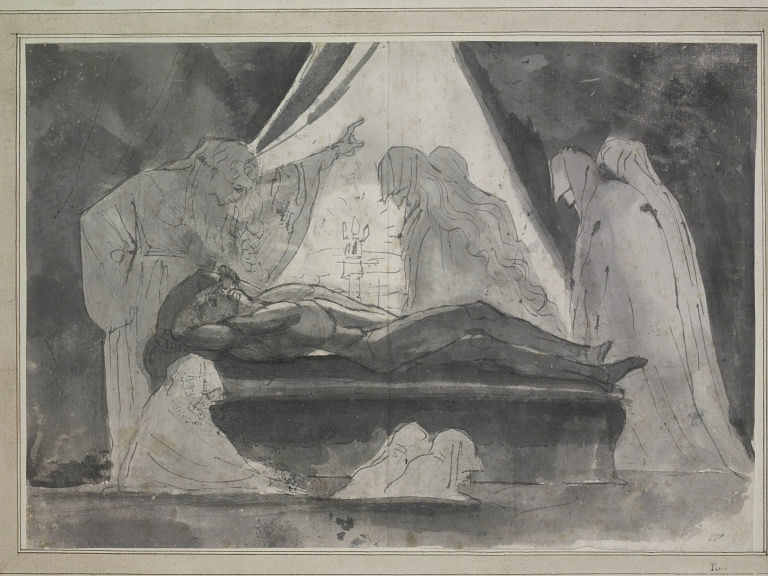 Henry Fuseli, 1741-1825, “Richard III Drawing,” Early Modern British Theater: Access, accessed April 20, 2019, http://embta.english.ucsb.edu/items/show/303.